Qualify for a Short Sale in Wilmington! Foreclosure. Short Sale. REO. All three are real estate terms that you hear in the news every day, especially during the rough real estate climate we are currently in. “Foreclosure” is a term that most people know very well. When a homeowner stops paying the mortgage payments on their home, the bank then starts to foreclose on their home. This is a very stressful and painful experience for those who are struggling financially. Once you lose your Wilmington home, it could be incredibly difficult to get back on your feet and own a home again. That’s where the short sale comes in. 1. The amount owed on your Wilmington property is worth more than its market value. 2. A negotiation occurs between the homeowner’s mortgage companies to accept less than the value of the loan. A buyer closes on the property and is sold for less than the total value of the mortgage. Proof of financial hardship. You need to be able to prove to your lender that there is a situation that is causing you to miss your mortgage payments. Whether you were laid off at work, suffered a costly tragedy or have another financial drain, you need to be able to prove to your mortgage company that you are physically unable to pay your mortgage payments for a valid reason. A monthly income shortfall. A basic way to put this is that you need to show that you have more “month than money.” Before you qualify for a short sale, your lender will want to see that you don’t have the income flow to continue to pay your mortgage or pay off missed payments. Have a few copies of your bank statement and a breakdown of your monthly income ready to show your lender. Proof of insolvency. Your lender wants to make sure that you do not have enough money in assets to liquidate in order to pay off your mortgage. Your belongings will be assessed, so before you begin the short sale process, make sure that you don’t have enough in liquid assets to make mortgage payments. 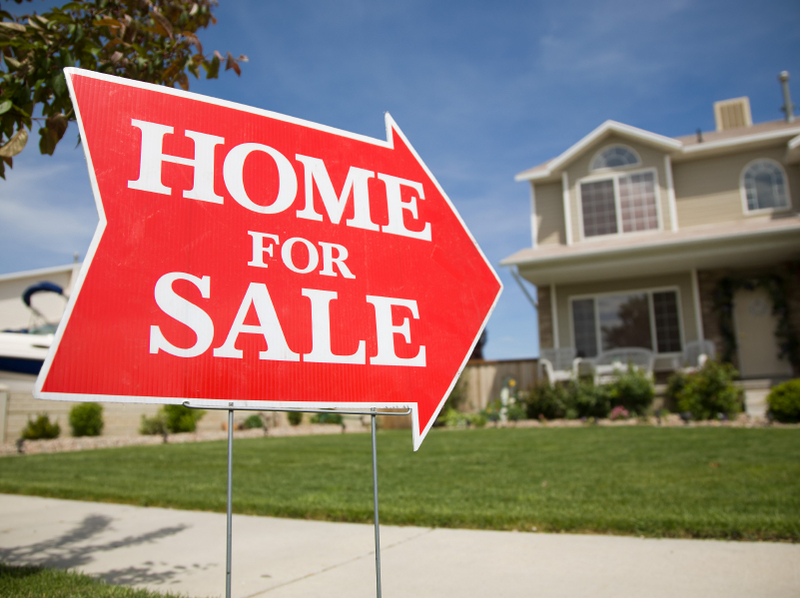 Of course, going through a Wilmington short sale isn’t without its pitfalls. The process can oftentimes be timely and drawn-out. The more prepared you are going into the process, however, the faster your short sale will get approved. Using a Wilmington short sale expert will help ease the stress and tension surrounding a short sale. If you are overwhelmed by your mortgage payments and feel like you need some guidance, don’t hesitate to contact me! I’d be happy to answer any of your questions regarding Wilmington short sales and help guide you on the path to recovery. If you start looking at your options now, then you can avoid the hardships and stress that come with foreclosure. I hope to hear from you soon! Get Creative When Selling Your Wilmington Home! In the good old days, baking a batch of cookies for your Wilmington home’s open house and throwing in a big screen TV for the buyer was enough to produce some buzz about your home sale. Now that the market is a little more competitive, however, Wilmington’s home sellers need to get creative. In order to get the buyers interested in your home, as opposed to the competition’s, you need to be able to think outside the box. Get on Facebook. Facebook’s pay-per-click ads are free to create and inexpensive to run. Create an ad for Facebook that shows a picture of your listing and has a creative tagline. Link the ad to the listing page on your Wilmington real estate agent’s website. This will give your listing maximum exposure in your area for little cost. You can also have yourself or your agent use Facebook marketplace to put your listing online and get the word out to your friends. You never know: they may know of someone who is looking for a brand-new Wilmington home. Stage your home. Staging is of the utmost importance when you’re selling a home because it allows buyers to visualize living in your property. The neutral and clean look that comes from staging presents your home in the best light while minimizing clutter, so that it’s easy for a buyer to insert their possessions into your home. Staging can be done creatively and switched so that each room can be seen to serve multiple purposes. It’s a great way to present your property in the best way possible. Throw in some extra incentives. Do you want to get some buzz surrounding your property? If so, the answer might be to throw in some great incentives with the purchase of your home. Whether it is season tickets to a basketball or baseball game, airline tickets, or even monetary incentives like a mortgage stipend, these extras will increase the interest in your property and get more traffic through your home. They might not seal the deal, but they’ll get people through the door, and your fantastic home will do the rest. Make your open houses more festive. Having cookies at your open house is great, but try generating interest by turning it into something of a party. Prepare hors d’oeuvres, have music playing, and if you’re motivated, have some sort of contest or raffle. Making your open house seem more fun and festive might draw interest to your home and allow potential buyers to relax while they look around. Thinking outside the box and marketing your home creatively is the key to selling your home on the Wilmington real estate market. These creative tactics will increase the traffic going through your property and get your home sold faster. If you have questions about what it takes to sell your Wilmington home, or have questions about the Wilmington, DE area, don’t hesitate to contact me! I’d love to be here for you as your real estate and community expert.